Help the brave knight fight for the King’s glory & play Black Knight 2 slots! Activate the Free Spins Bonus for 7 Free Games and locked Wild Reels for massive wins! Black Knight 2 slots is the sequel to the players favourite Black Knight slots from WMS! There are 5 reels, 4 rows, and 40 paylines packed with brightly coloured symbols including Knights, Jesters, Princesses, and Crowns! The Black Knight himself is Wild and not only replaces other symbols but will expand to cover an entire reel! The Shield Scatter in a winning combination will award you with a Free Spins Bonus round, where you’ll get 7 Free Spins and Wild reels that lock for the duration of the round! 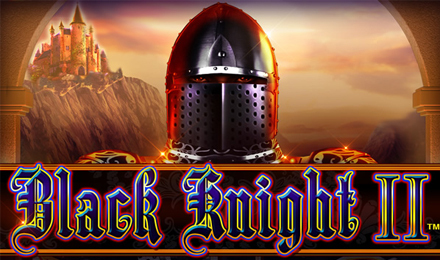 Play Black Knight 2 Slots today!